The American M3 Stuart Light Tank, or Honey, was used by the 7th Hussars in Burma 1942. It had a 37mm main armament. 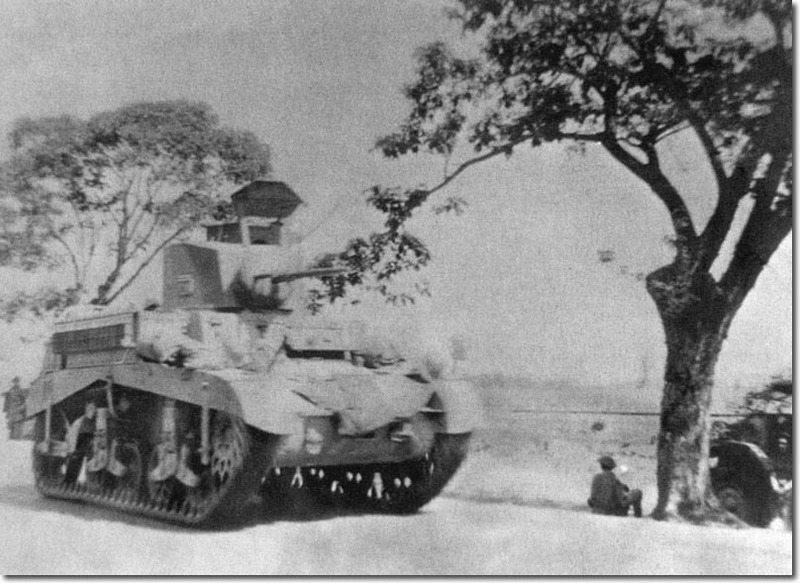 Apart from one tank, they all had to be destroyed when the regiment withdrew to the Chindwin River. The Stuart had the advantage of speed and elusiveness but was not well protected.